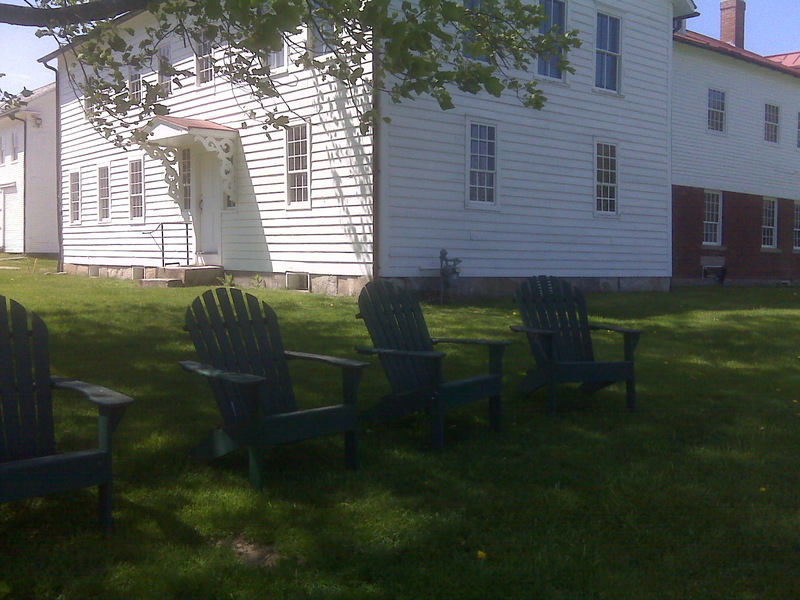 Ever since my stint as a Canterbury Shaker Village tour guide, I’ve had an interest in the cuisine created by the sisters. Of particular interest is their skill at adding herbs and spices to dishes in ways that may not seem obvious to everyone. 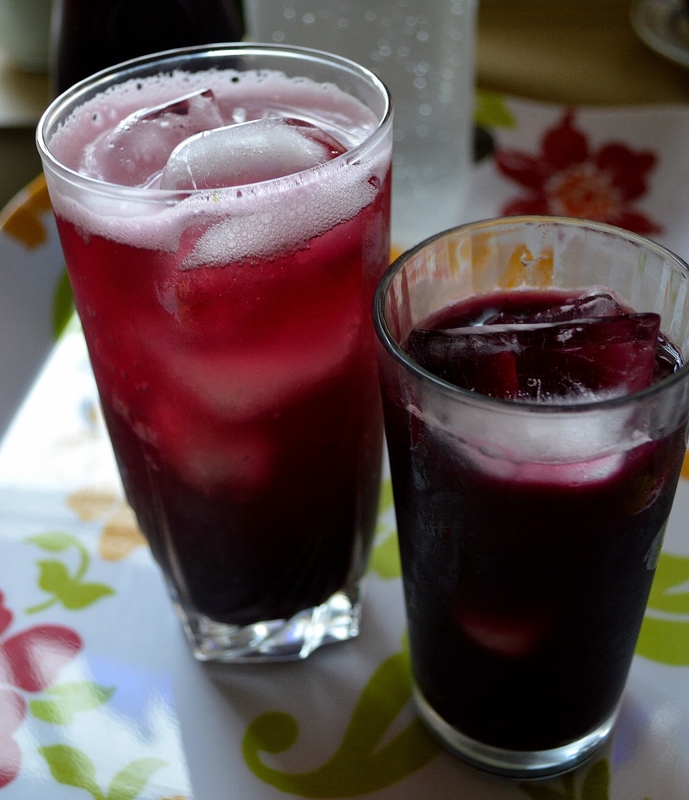 This Spiced Grape Drink is a good example. One hot summer afternoon, many years ago, I paid my first visit to the Village. The grounds were so peaceful and beautiful, with the gardens in full mid-summer form. This recipe was adapted from one I found in The Shaker Kitchen by Chef Jeffrey S. Paige. The spiced-filled juice tastes wonderful on its own over ice. However, for a more grown-up taste, top it off with bubbles, such as club soda, seltzer, or sparkling wine. Keep a batch in the refrigerator and you will be set for summer. 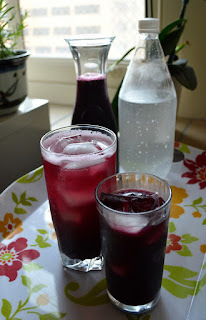 As the Shaker’s did, I recommend using Concord grape juice for this recipe, preferably organic. Put all of the ingredients into a large saucepan. Bring the mixture to barely a simmer and let it cook for 30 minutes. Remove from the heat and pour the juice through a cheesecloth-lined strainer into a bowl or pitcher to remove the spices. 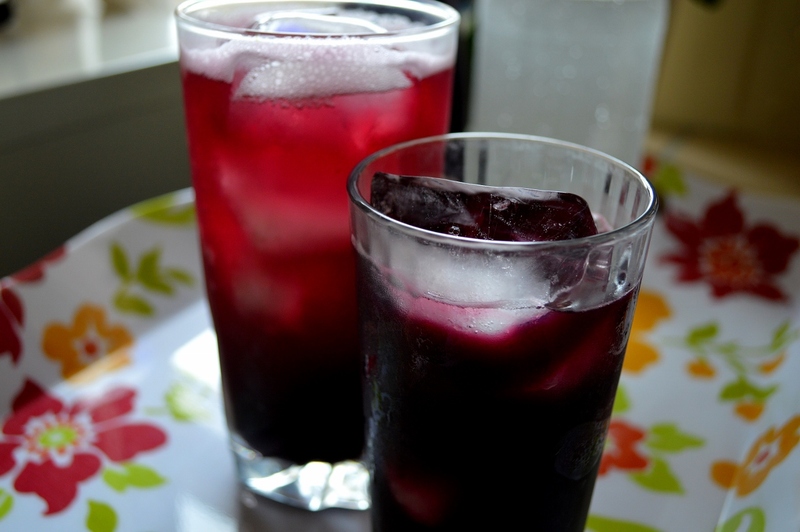 Allow the juice to cool to room temperature, and then refrigerated until well chilled. Serve juice over ice. 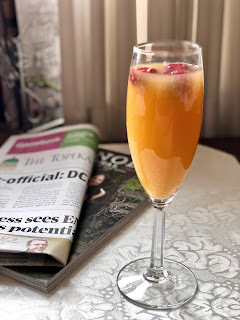 Add club soda, seltzer, or sparkling wine, if desired.